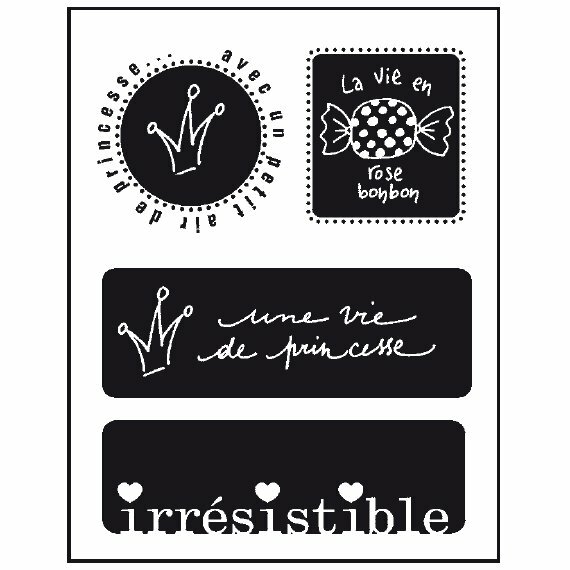 This French Princess theme mini stamp set by Artemio is set on a sheet sized approx. 7cm x 9cm. They come ready to mount on acrylic block (not included) individually, or in a group to your own design, ready for stamping.